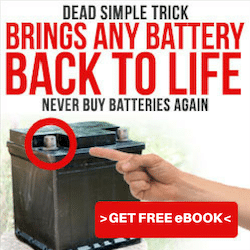 How Long Does It Take To Charge Golf Cart Batteries? Home GOLF CART BATTERY TIPS How Long Does It Take To Charge Golf Cart Batteries? Golf cart batteries are deep cycle cells that are designed to be deeply discharged or to supply a consistent amount of power for extended operations. They are commonly defined as storage units that can store and convert energy to voltage to provide electricity. These batteries are engineered to cycled or to be discharged and recharged to be used throughout their service life. Due to this qualities, these batteries are widely used in various industries for a multitude of applications and uses. In this overview, you will learn everything that you need to know with regards to golf cart batteries. 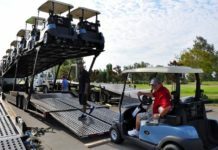 Information and details like how long will it take to charge your golf cart batteries, significant aspects to keep in mind in using them and some tips that will help you extend their service life. This article will also give plenty of information that you can consider as hints that will tell you how to properly maintain them and keep them in good shape. ​(Check this useful guide video). How Long Should It Take For Golf Cart Batteries To Be Charged? 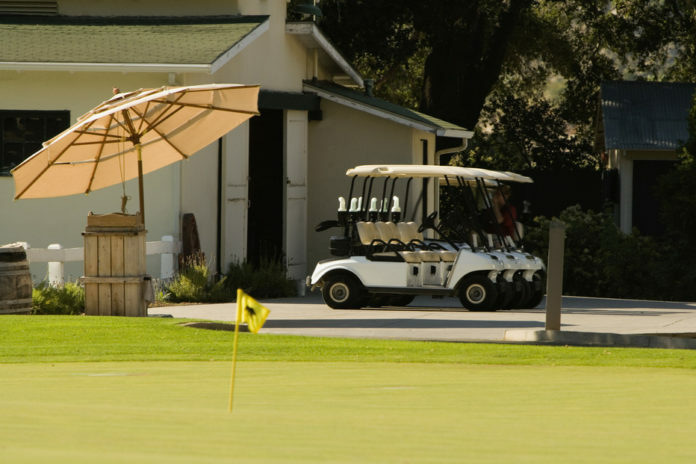 The time that it will take to fully charge golf cart batteries will depend on several factors. It will also depend on how the batteries are used and the capacity of the power cells to receive and store energy. The kind of charger will also be a factor on how long the batteries are going to be charged. Basically, the time of the charging process will depend on the main factors listed below. If the batteries are new or in good overall condition and they only have less than 30% charge left. For heavy duty chargers with great efficiency, the charging process can be quick and may only take an hour or three hours max. But for a lightweight charger with two to five amp output, it may take a little longer. Let’s say the batteries are deeply discharged, and they had been serving you for four to five years. With a DOD of 75% to 80%, charging them using the lightweight battery charger will take a lot of time. You can expect to wait ten hours or even more​. Charging them with a heavy-duty charger with exceptional performance will reduce the charging time. The bottom line on this is the charging time will vary depending on the major factors mentioned earlier. There’s no way that a standard amount of time can be established when it comes to measuring the time of the charging process of the batteries. However, it is safe for us to say that the higher the depth of discharge of the batteries, the longer it will take them to be fully charged. Be careful not to overcharge your golf cart batteries because it is one of the most common factors that greatly reduces battery life. Charging your golf cart power cells causes the water within the cells to evaporate. Overcharging them will lead to water loss, leaving their plates to be dry. This will eventually cause the batteries to overheat, and we all know that heat is one of the main killers of golf cart batteries. 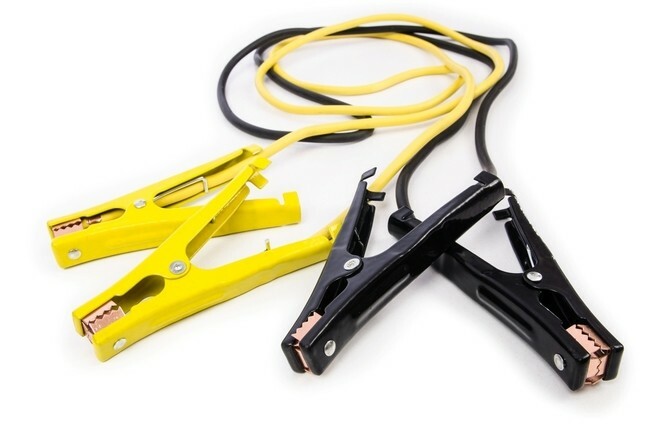 Fortunately, most the cart battery chargers today are equipped with an automatic switch system that shuts down the charging process once the batteries are fully charged. Modern battery chargers that feature this system regulates the charge time of the batteries to eliminate the risk of overcharging. However, if you are still using the older chargers, you may have to monitor the charging progress manually. One of the most important aspects that you always have to keep in mind about golf cart batteries is to always fully charge them after every use. Make sure that your batteries are fully charged before using them, especially when they are new. According to experts, to allow your batteries to reach their full potential, you have to charge them at their full capacity 20 to 50 times. 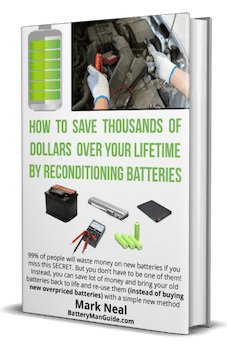 By doing so, it optimizes or enhances the service life of that battery which will be very beneficial for you in the long run. 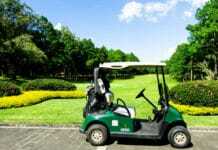 (Read this useful tips on how to charge your golf cart batteries). You also have to avoid discharging your golf cart batteries too deep or using up to 80% of their charge as much as possible. This is because the life expectancy of a battery is directly related to its depth of discharge. 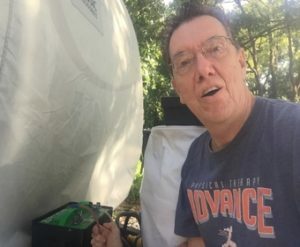 Consistently running down your batteries to 20% – 25% of its charge will subject them to 75% – 80% depth of discharge which will significantly shorten its life.  This weakens the battery plates within the power cells that will reduce the amount of cycle they have. (Check this article on how long do golf cart batteries last?). If you want to find out how long does it take to charge golf cart batteries, you won’t. 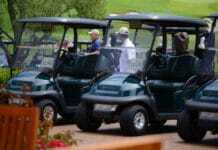 As stated earlier, the time to charge golf cart batteries will depend on three major factors. The quality and condition of the batteries, how discharged are batteries to be charged and the quality of the golf cart charger to be used. The charge time will vary according to these three major factors, if all of them tends to lean on the negative side, then prepare to wait for ten or more hours. But if both the batteries and charger have good quality and the depth of discharge is that deep, the charging time may be between one to three hours.